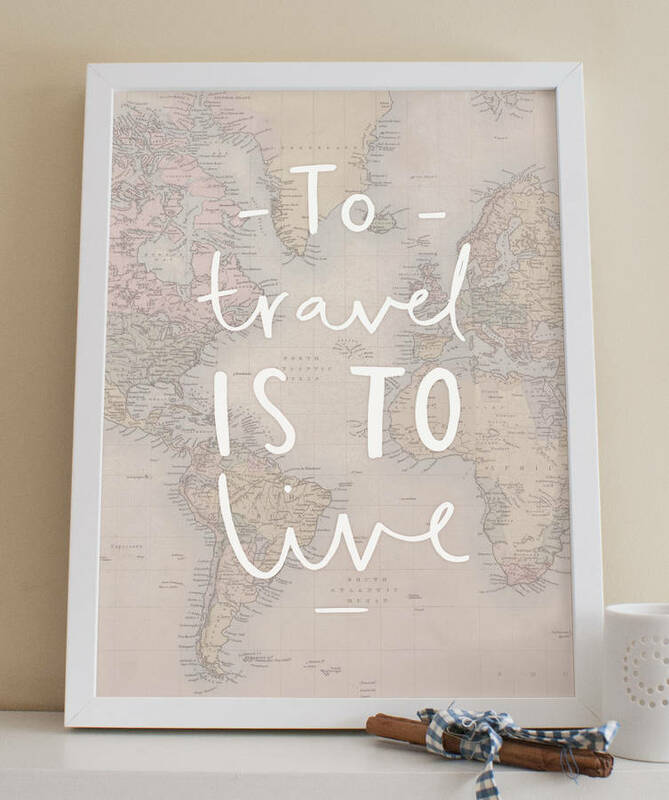 This travel quote world map print is a perfect gift for those that love to travel! 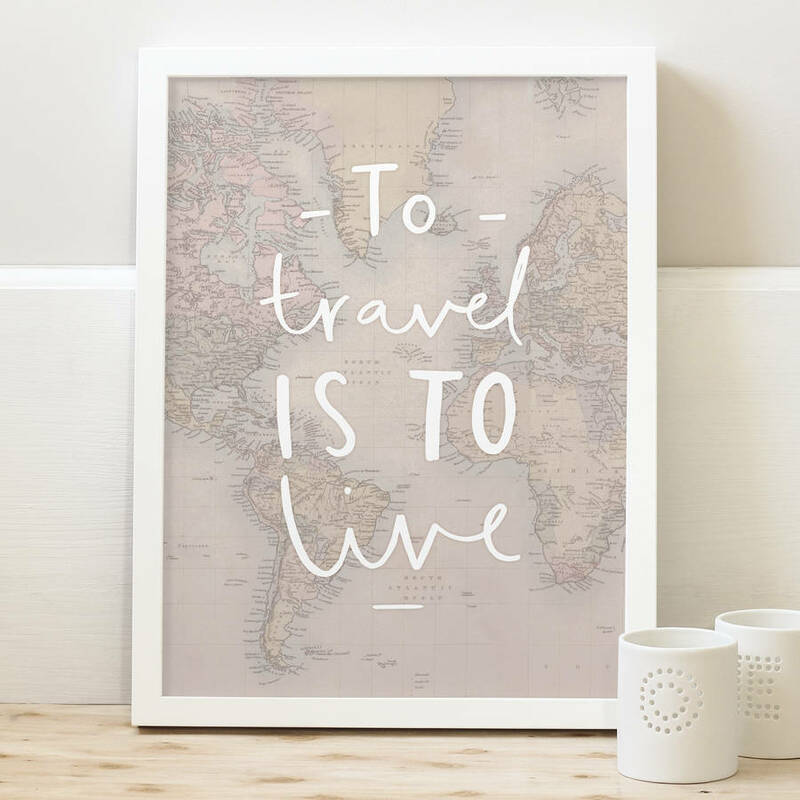 This charming and simple typographic map print has been illustrated with the hand lettered typographic travel quote "To travel is to live". 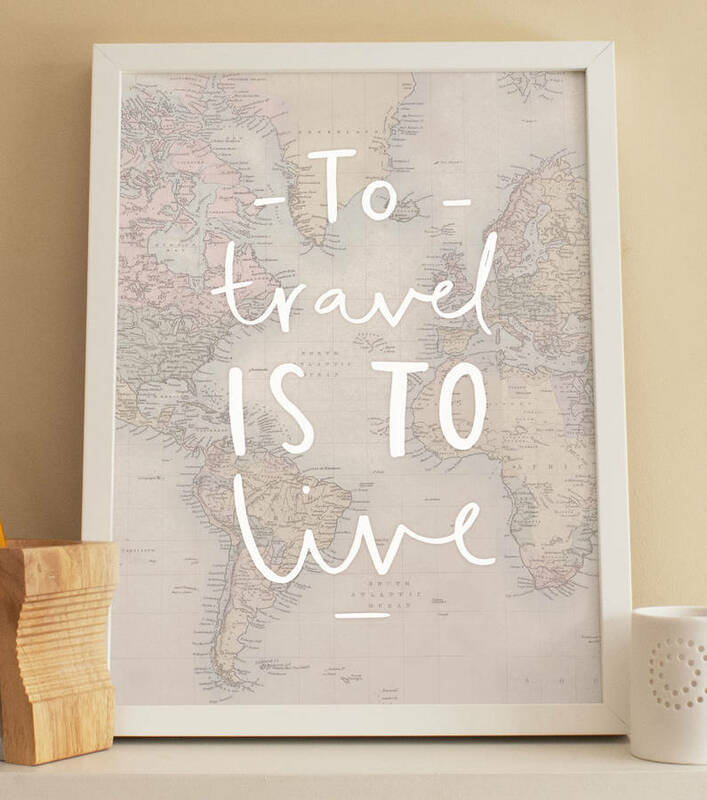 This travelling quote world map print will make you smile and makes the perfect gift for a friend or family member. 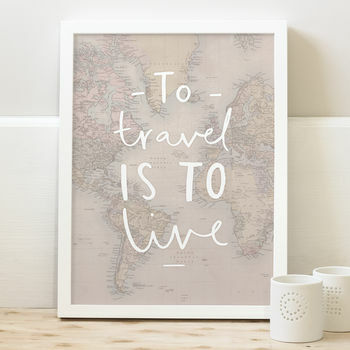 This map print would make a great gift for someone you know that is moving abroad. 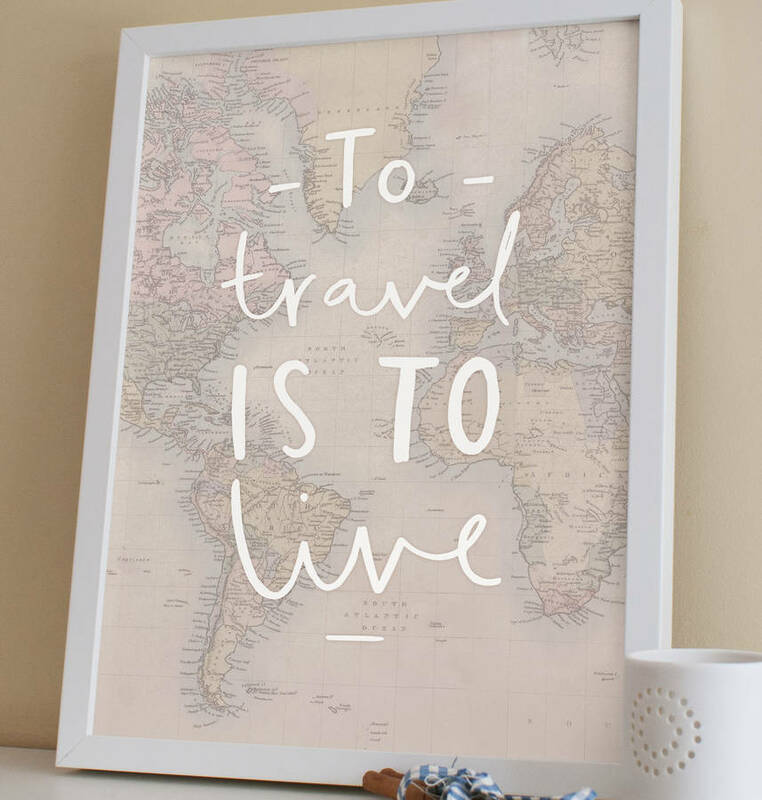 The unique print would make a great Christmas gift this year, the perfect stocking filler! 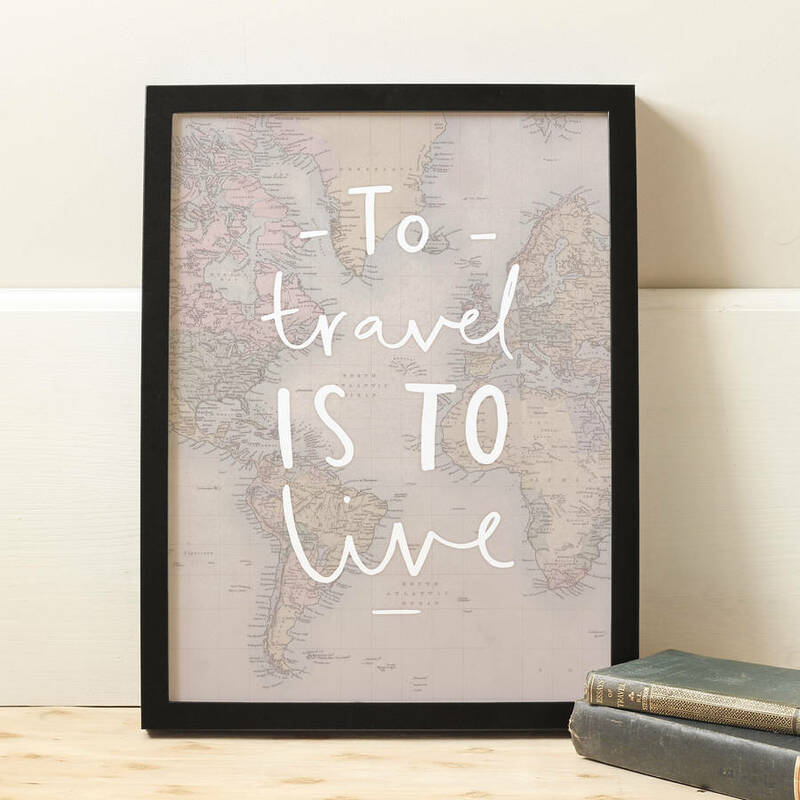 Our motivational world map print is made using thick 220gsm archival matte paper. We use high quality inks to prevent fading over time, this offers a long lasting print. The following sizes are available: A4 (29.7cm x 21cm) and A3 (42cm x 29.7cm). Our frames are made to order by specialist framers. They are members of the Fine Art Trade Guild. Each frame is made from real pine wood with a paint finish, glazed with high quality acrylic safety glazing. The frames are finished with a sturdy cord attached to the back and are ready to hang. Please allow 7-10 days delivery for framed prints. Please note that frames are not included unless added to your order. Props are not included and are for display purposes only. Our prints are lovingly packaged in sturdy packaging. This product is dispatched to you by Old English Company.